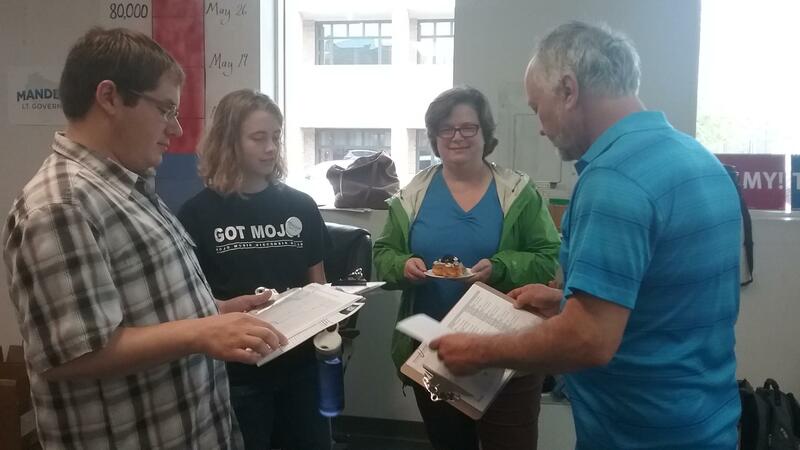 Next week, voters will head to the polls to cast ballots in special elections for two vacant legislative seats – one in Lodi, and one in De Pere. The contests will fill the posts of lawmakers who resigned last December, in order to join Gov. Walker’s administration. The races received national attention after Walker tried to delay the elections for months…but judges told him he could not. He originally scheduled the elections to replace the two lawmakers for this fall – instead of holding special elections. Walker said the move would save money, because polls will be open this fall for all the other races on the traditional election calendar. Democrats criticized the Republican governor, accusing him of delaying the elections out of fear that Democrats could win, as they have in a number of special elections in other states. And a group led by former U.S. Attorney General Eric Holder sued, citing state law that says special elections for vacant seats must be held as soon as possible. Walker fought the suit, but several judges sided with Holder’s group, and an appeals court ordered Walker to schedule the elections promptly. Lodi is in a rural area, about a half hour north of Madison. There’s an open Assembly seat there. Ann Groves Lloyd, an alderwoman, is the Democrat in the race. I talked to her at a meet-and-greet, where she and volunteers were getting ready to head out, knock on doors and talk to people about the election. She told me voters in the area are very engaged – including about the issue of jobs. Groves Lloyd says many workers in the district are employed in light manufacturing or service industry jobs, and have to string together two or three of them in order to make ends meet. She says if elected, she’ll push to make higher education and health care more affordable. 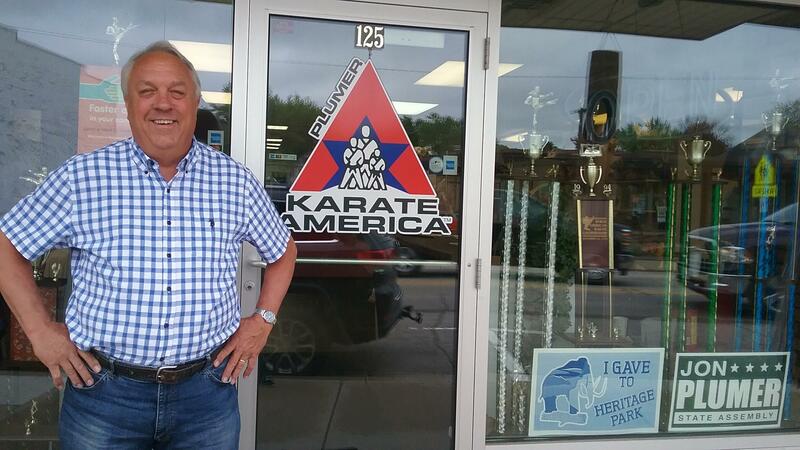 The Republican in the race is Jon Plumer and he serves on the Lodi Town Board -- plus he owns a chain of karate studios in the area. I stopped by his studio in downtown Lodi. He’s also been knocking on thousands of doors in the district. He says voters have been telling him that they think the state is moving in the right direction, but they want a solution to the crumbling roads. Plumer says if elected, he’ll work to fix the ongoing deficit in the transportation budget. He says he’d even be open to an increase in the gas tax to pay for road repairs, something that Gov. Walker has vehemently opposed. President Trump won this district by 14 points in 2016. But since then, Democrats have tended to win special elections, both across the country and here in Wisconsin. For instance, in January, Democrat Patty Schachtner won a special election for a state Senate seat in a heavily Republican district in northwestern Wisconsin. And earlier this year, Gov. Walker warned supporters that the “blue wave” could be headed to Wisconsin, after the state Supreme Court election. That’s when Milwaukee Circuit Judge Rebecca Dallet, who was supported by Democrats, won that contest. As for the other special election, that race is for the state Senate, for a seat that also was held by a Republican. The outcome is even more critical for both parties in this contest. That’s because while Republicans control the Legislature, they have a smaller margin in the Senate, so the GOP very much wants to hold onto the seat…and the Democrats are very interested in taking it out of Republican hands. If you’ve been driving in Door County or the Green Bay area recently, you may have noticed a lot of yard signs. It’s because voters are gearing up to cast ballots later this month in a special election for state Senate, after Republican Frank Lasee resigned in December for a job in Gov. Walker’s administration. Walker tried to delay the election, but a court ordered him to schedule it promptly, after a group led by former U.S. Attorney General Eric Holder sued. The race pits Republican state Rep. Andre Jacque of De Pere against Democrat Caleb Frostman of Sturgeon Bay. The results are in for Wisconsin's two special election primaries. 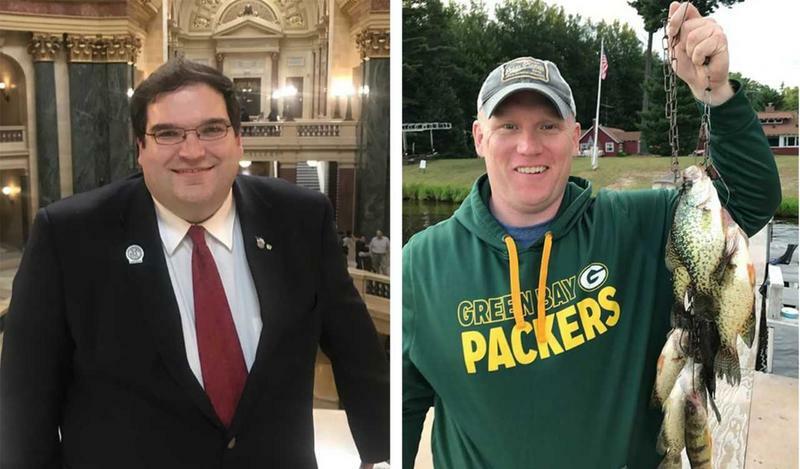 Republican state Rep. Andre Jacque of De Pere will advance to the special general election June 12 to face Democrat Caleb Frostman for a Senate seat in the Green Bay area. 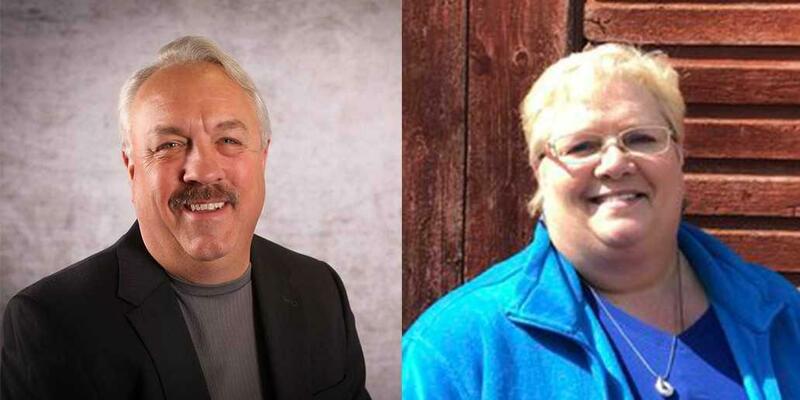 In a race for a state Assembly district north of Madison, Republican John Plumer of Lodi will take on Democrat Ann Groves Lloyd.